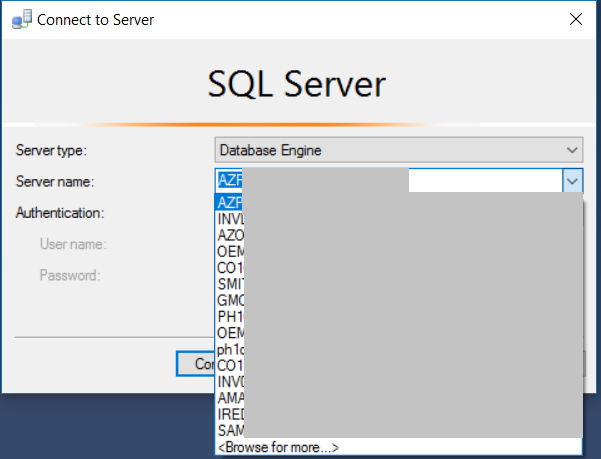 SQL Server Management Studio (SSMS) has a helpful feature that remembers that last 15 SQL server instances to which you’ve connected, displaying them in a dropdown list within the Connect to Server window. This eliminates the need to remember or track the often-times complex server names we use on a daily basis. But when it comes time to upgrade to a new machines – or worse, you are forced to wipe your system and reinstall everything – that list of servers disappears! Panic and despair sets in, and you start praying that documentation exists somewhere to help you start rebuilding that precious list of servers. Fear not – a solution has been found! Here you will find a file named SqlStudio.bin. IMPORTANT: SSMS should not be open during this step. If it is open, close it. Open SSMS and you will find all the servers from your old machine in the Server Name dropdown list! 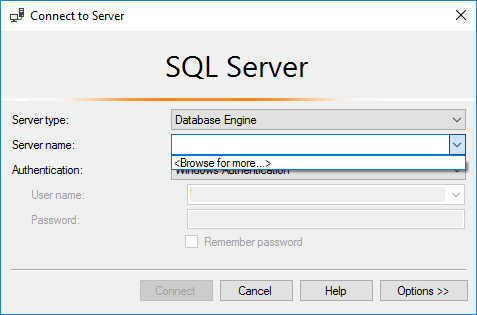 The above process has been successfully tested between 2 computers running Windows 10 with the old system running SQL Server 2016 (v13) and the new system running SSMS 17.1 (v14).